Some of you might remember when I tried cooking a scrummy dessert with Hotel Chocolat's cocoa penne pasta back in November 2012. I wrote all about this dessert pasta with butterscotch and pecan sauce here. It was super-tasty and a really different way to cook/eat pasta...it was hard to get my head around eating pasta for a dessert, but cool all the same! 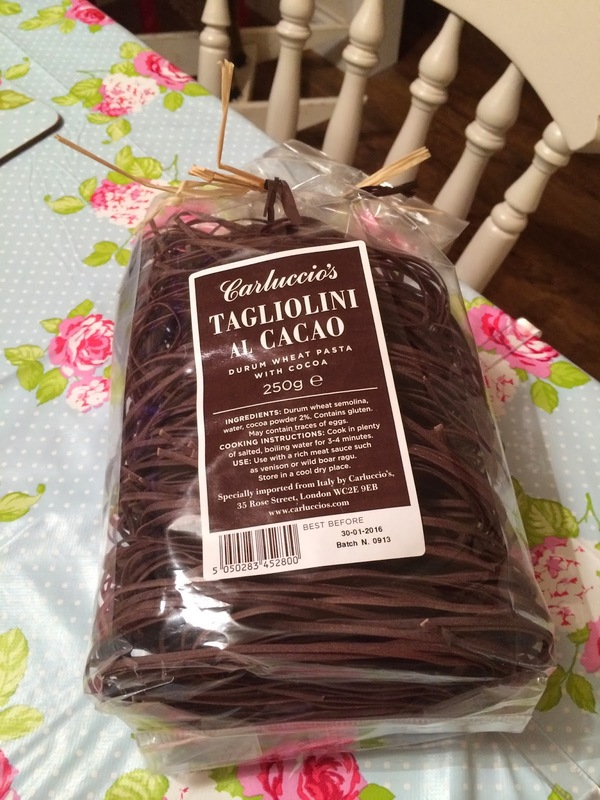 For Christmas this year Liam and I were bought a bag of Cacao tagliolini from Carluccio's, and I couldn't wait to try it! This time however, I thought I'd try this chocolatey delight in a savoury recipe, instead of sweet. I paired the pasta with venison meatballs as I've heard cocoa and venison go well together. 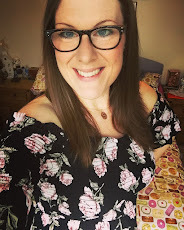 I made a gorgeous sauce full of tasty ingredients to compliment the cocoa and venison flavours, and I thought I'd share the recipe with you guys…. 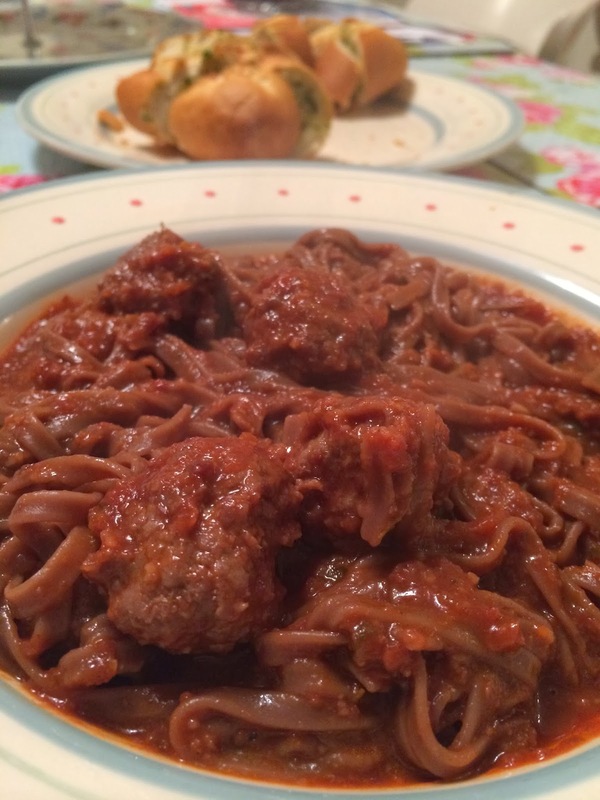 VENISON MEATBALLS WITH CACAO TAGLIOLINI & THE RICHEST OF SAUCES! 1. Combine the fresh thyme, shallot and venison mince together then roll into 24 equal sized balls. Pop in the fridge to firm up while you chop the onions etc. 2. Brown the venison meatballs in a little olive oil with the onions, garlic and bacon - once the meatballs are brown remove them and set aside while you make the sauce. 3. Add the mushrooms to the pan and sweat it all for a few minutes. Add the red wine, let it deglaze the pan (stir the whole time), and simmer until the mixture has reduced down a little. 4. Add the tomato passata, tinned tomatoes and beef stock to the pan - heat until the sauce is really simmering and then add the thyme, bay leaves, redcurrant jelly and grated dark chocolate. 5. Let the sauce reduce right down, stir regularly. 6. Once the sauce has reduced by half, use a hand blender to blitz the sauce until it is a smooth consistency. 7. Add the meatballs back to the sauce, and heat on a low flame for 15 minutes. 8. While the meatballs are cooking add the pasta to some boiling water, and stick some garlic bread in the oven. 9. Drain the pasta, dress with a little olive oil, and pour over the meatballs and sauce. 10. Serve with garlic bread for dunking! The dish was lovely - the sauce really was the star of the show, and I loved the earthy backnotes the cacao pasta provided. 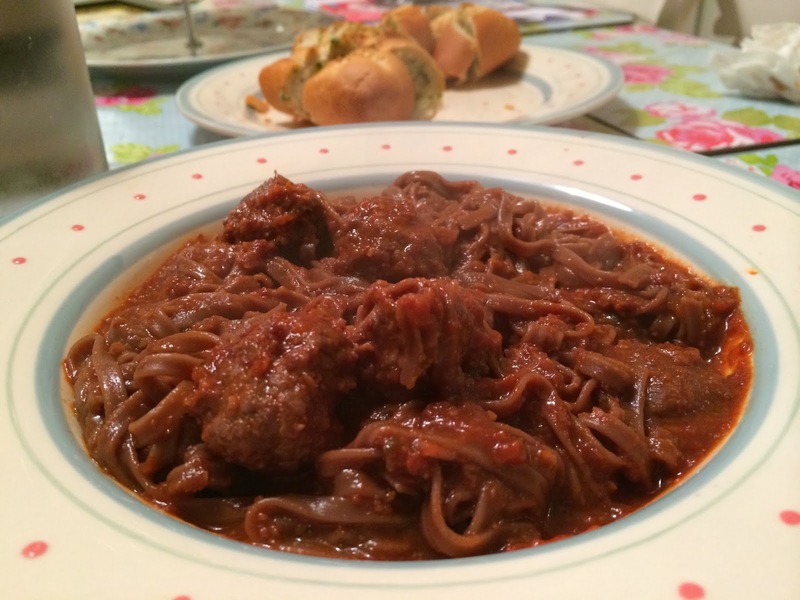 Honestly, you could easily swap the venison for beef, and the cacao pasta for plain...it would still be delicious. The venison and special pasta just make the meal extra special. Have you ever eaten pasta made with cacao or cocoa?